Dr. Mark H. Spurrier is a Licensed and Board Certified Ophthalmologist. He has over 20 years of experience in working with a full range of comprehensive outpatient, inpatient, and surgical eye care and treatment for adolescent and adult patients. Dr. Spurrier received his Bachelor of Arts Degree in Chemistry (Honors) from Kansas State University in Manhattan, K. His Medical Education was completed at Washington University School of Medicine in St. Louis, MO. He was appointed to the Clinical Faculty of Washington University Department of Ophthalmology in 1986 and continues as an instructor in the Department. Dr. Spurrier has been a Diplomat on the American Board of Ophthalmology since 1988. 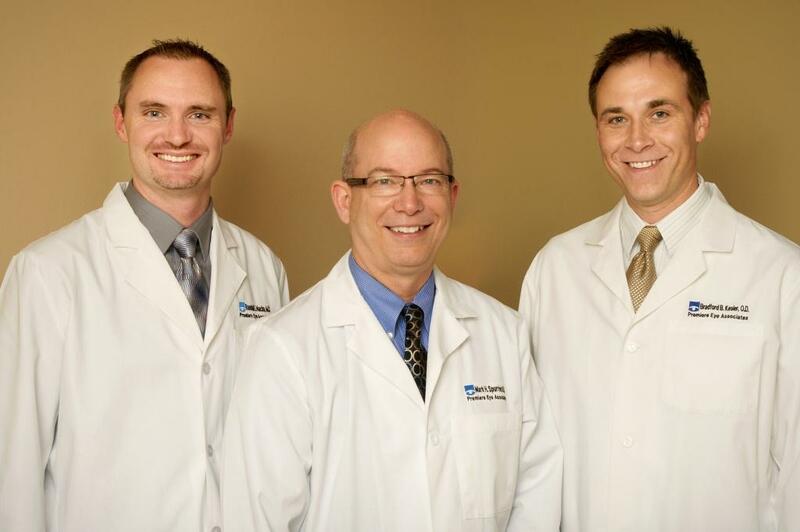 Dr. Randall E. Nacke is a Licensed and Board Certified Ophthalmologist. He has extensive experience working with a full range of comprehensive outpatient, inpatient, and surgical eye care and treatment for adolescent and adult patients. Dr. Nacke received his Bachelor of Science Degree in Biological Sciences (Honors) from the University of Notre Dame in Notre Dame, IN. His Medical Education was completed at the University of Iowa College of Medicine in Iowa City, IA. He completed his ophthalmology residency at St. Louis University in St. Louis, MO, and then completed his fellowship training in cornea and refractive surgery at Baylor College of Medicine in Houston, TX. Dr. Nacke is a member of the adjunct faculty of Washington University of St. Louis, MO. Dr. Bradford B. Kesler is a Licensed Optometrist. He has over 10 years of experience providing a full range of comprehensive eye care for adolescent and adult patients. Dr. Kesler earned his Bachelor of Arts Degree in Biological Sciences from Southern Illinois University, Carbondale, IL. His Medical Education in Optometry was completed at the University of Missouri – St. Louis, where he was awarded the Outstanding Pediatric/Binocular Vision Award and the Outstanding Student Clinician Award.